Evergreen Paisajismo. Noticias. Park construction suspended in areas affected by court ruling annuling Valdebebas Special Plan. 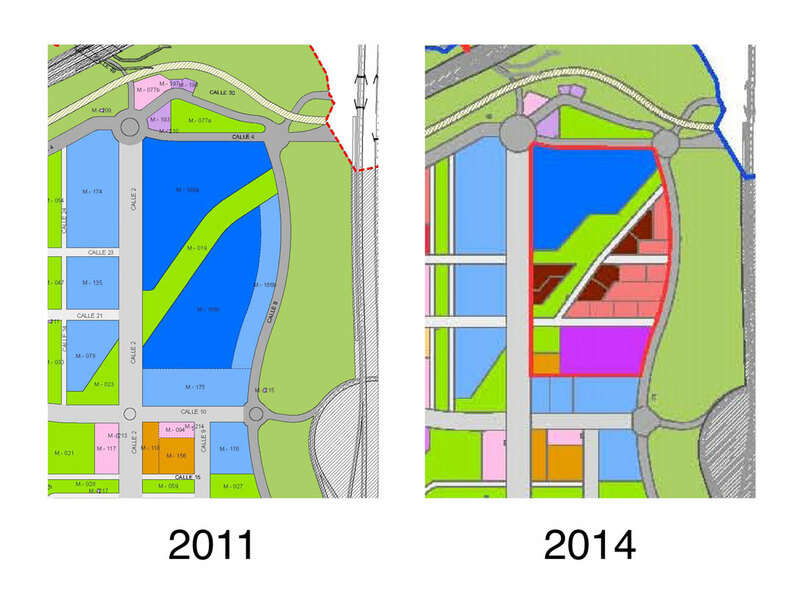 March 21st 2016, the Valdebebas Property Board received the unexpected news that the Madrid Superior Court had annulled the Special Plan modifying the use of an area reserved for a gigantic mall (150,000 m2) into a retail and leisure space a third of the size, as well as a school and price controlled housing, both in high demand in the new district. The judge supported the claim of the applicant that “in operations transforming buildable land there is a need to adequately balance the relationship between public services and facilities, and the density of population”. This explanation is most surprising given that the Valdebebas Property Board worked with the City Hall to modify the existing use precisely because it lay empty, creating a large vacant hole in the new urban development. If the judge had any doubts on the matter it seems reasonable that he would have asked the City administrators for additional information on the reasons for this change of use, and why it was considered important for Valdebebas. The huge parcel had become a white elephant, of little interest to operators for its excessive size, a result of former expansive times previous to the real estate bubble that led to a national economic recession. After studying the situation, the Valdebebas Property Board decided to cancel the ongoing urbanization works affected by this sentence: the new street that gives access to the parcels and two parks forming part of a string of green areas connecting to the Central Park. FCC, the company awarded the construction, and the property supervision teams, including members of Evergreen Landscaping, are in limbo waiting for the City Hall to find a solution. Unfortunately, this sentence gives strength to persons that have no part in the process but are demonstrating their capacity to interfere in the Madrid city planning, having already created havoc with the Madrid Master Plan, with objectives far from the common good. Above all it is having disastrous economic effects for the developers that bought the new parcels, the people that invested their savings in buying a home, and the only planned school in Valdebebas, that was to open its doors in September 2017.